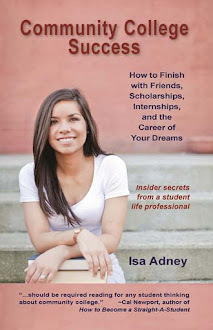 Community College Success: Ask Isa: When is the best semester to begin college? Ask Isa: When is the best semester to begin college? Are there any disadvantages to incoming Freshman starting early (Spring Session/Summer Session) instead of starting when everyone else their age starts (Fall Semester)? I'm scared that it might affect making friends, opportunities, joining clubs, etc. While I can't speak from direct experience since I did start college during the Fall Semester, I do know that every college can vary in the programs it offers each semester, so I highly encourage you to ask this question of an admissions counselor at your college right away. While it can be great to start in a traditional route as most colleges build their schedules and activities with that schedule in mind, most community colleges have programs year-round, and other colleges also recognize students start at different semesters. It's all about your priorities. For many students starting college in the summer or spring offers great advantages because of their own preferences or other things going on in their lives (e.g. I also had a student e-mail me asking the same question as you - they wanted to start college early so as not to have too long a gap between high school and college). The great thing about starting college early is that you can get a head start and have extra time to get comfortable with the new environment. It certainly won't negatively affect you when it comes to making friends, because you'll be able to make friends with the other students going to school at that time. In the working world it's vital to be able to make friends who aren't your age, and interact with a diversity of people, so even if you find starting early mixes you in with students who aren't your age, that can actually be a good thing. So in short, I do not think you will put yourself at a disadvantage if you start college in a semester other than the fall. Just be sure to talk about it with your admissions counselor so that if there are any particular programs or opportunities at your college that would only be available to you if you started in the fall you can then weigh your options. Congrats to you for going to college - that alone will put you at a huge advantage no matter when you start. It's quite an adventure and I can tell you are going to be great at it! Best of luck! Ask Isa: "What do I do when my 4.0 is in danger?"